The Ultimate Islay Malt has been awarded the ultimate accolade, as Ardbeg Ten Years Old is announced as World Whisky of the Year. The accolade has been awarded by internationally acclaimed whisky expert, Jim Murray, who has furthered the honour by making this the first single malt Scotch winner ever. Ardbeg Ten Years Old is also accorded Scotch Single Malt of the Year at the same time. The dram was recognised for its sophisticated, complex aroma, stunningly clean flavour and perfect balance, being described as ‘supernova stuff’. 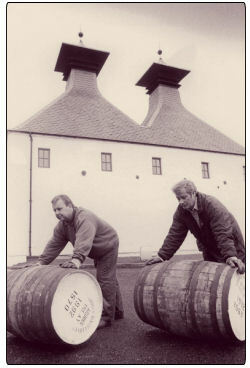 During the 1980s and 1990s, Ardbeg suffered from an uncertain future and it was not until Ardbeg was purchased by Glenmorangie plc in 1997 that the distillery was saved from extinction. 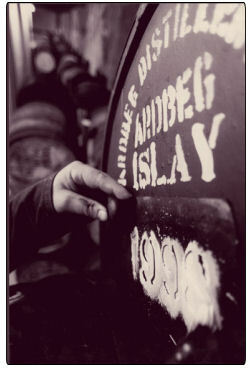 Since then, the distillery has risen like a phoenix and today Ardbeg is well established as a niche, cult malt, with a passionate following amongst whisky aficionados around the world. Hamish Torrie, Ardbeg Marketing Manager says: “Jim’s accolade of identifying Ardbeg as the best whisky in the world is also a huge compliment to the skill and expertise of our Whisky Team, led by Dr Bill Lumsden, which has consistently managed to balance - precisely and deliciously - the Ardbeg stocks we inherited in the run up to our own much anticipated stock which becomes available next year. In his 2008 Whisky Bible Jim Murray says of Ardbeg: “To me Ardbeg is - and always has been – the most complex malt on earth.” And has since added: “I have been visiting the Distillery for nearly 30 years - long before anybody had heard of Ardbeg. And because I have long regarded this the finest Distillery in the world, I actually try to handicap the sample to iron out any natural bias.